The Labor Day weekend in the United States is the traditional end of summer and special racing will ensue through Monday, Sept. 2, with stakes around the ovals and a focus on Saturday, Aug. 31, at Mohawk Raceway in Canada. More live horses are projected in our exclusive horses to watch (H2W) list from tracks around North America. TwinSpires offers special bonuses for Hoosier Park throughout the harness meet. Check out the Hoosier details here. Saturday, Aug. 31, Mohawk presents the premier event for frosh colt pacers, The Metro Stakes. Once a million-dollar affair for the green group, it is now worth $683,000, still the most for the division at this point in the season. Three elim winners lead the final field though no colt threatens as Captaintreacherous did last year. Arthur Blue Chip, Let’s Drink To It and Western Vintage will share favoritism as the elim winners. “Arthur” was our choice in the Nassagawaya the week before the elims ($17.20) and in his Metro elim ($4.20). He may be the rightful first choice here but could loom an overlay. As the crowd bets speed, it is difficult to know which of these colts can be faster than the other since their elim wins were a tick off of one another. With all of the speed the three elim winners offer, we call your attention to the colt we liked last week at 3-1, Boomboom Ballykeel. He was second by a hair to Let’s Drink To It after that one took the lead from him. An outsider to consider is Luck Be Withyou, who put in a whopping second at 12-1; he could be the closer if the surface is unkind to the speed of the speed or a duel ensues. The Metro Consolation could go to Somewhere In LA, another $17 colt we gave you in the Nassagaweya. But he didn’t make the final, presenting a dull elim mile. Look for him here to have a better chance and better odds. The She’s A Great Lady Final pits two elim winners against some surprise foes, including our choice last week, Bahama Blue, who was second to Precocious Beauty at 74-1. The former will most likely be the public choice but watch out for Ali Blue, last week’s favorite that rode wide and just made the final, finishing fourth to longshot Beach Gal. “Ali” may be better off starting from the outside (post 9), just to the side of “Bahama.” With “Beauty,” these three could deliver the triactor. Older pacers battle in the Canadian Pacing Derby Final, with action that involves a field of October-classic hopefuls so to see our analysis and work on your wagers, Go to Breeders Crown Countdown. Over $120,000 is on the line for glamour-boy trotters in the Simcoe Stakes splits. Fresh from Vernon and the “Zweig” wars, a couple of colts and a couple more from Hambo action take to the gate for round one at Mohawk on the big Saturday program. We are ready to give High Bridge another shot. The price should be right, with Lindys Tru Grit the most likely favorite off his win at Vernon last week. Jimmy Takter’s fickle trotter was our Players’ Pool bet in the Hambo final and he disappointed greatly. But he returned to be second recently and could be the best here just on the company he has been keeping. The second set of Simcoens [sic] may have to bow to Bluto and we cannot choose around him, even if his price is slim. 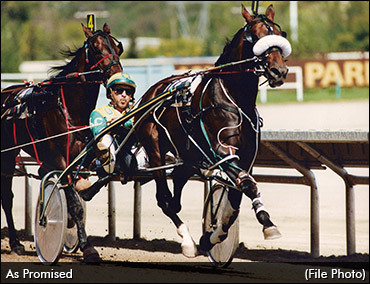 The Jimmy Takter trotter has raced with the top tier and is a world better than the rest of these. 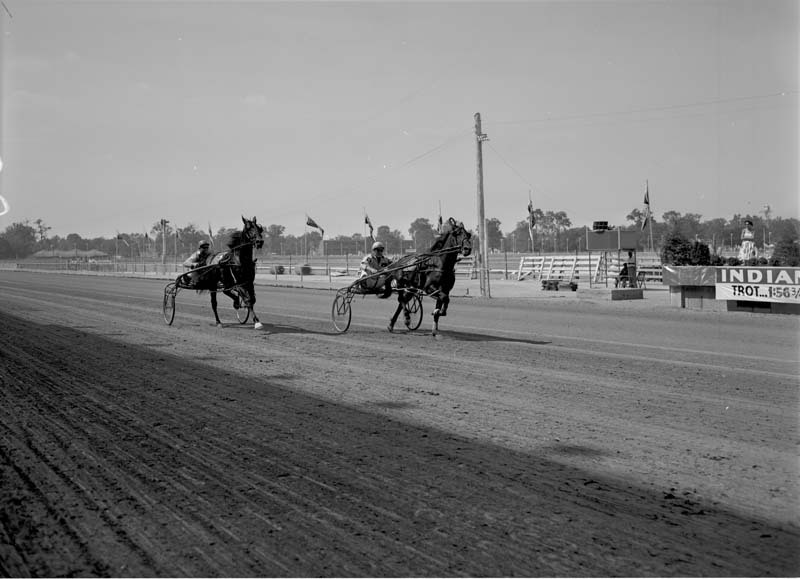 On Labor Day, Monday, Sept. 2, Tioga presents the age-old classic, The Cane Pace. The biggest feature of this torn-down-stakes event (the years have not been kind to this once sterling member of the stakes calendar, with many great horses passing it for more lucrative miles) is Captaintreacherous. To host the greatest soph pacer to come along in more than a decade is a big plus for the feature. The wagering could provide, once again, that strange contingent that has been anti-“Captain” from the season’s start. Why? Because for the first time this season Captain comes to a race off of a loss. It was a meager defeat but so many were waiting for it and now wager with unfounded confidence that the Captain has been demoted. 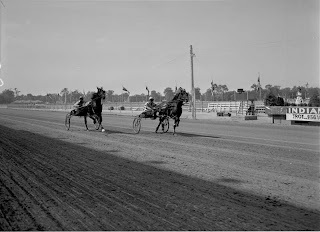 He has not, of course, and if the wagers are spread out to make the Captain 4-5 or more, you will have the same bargain we offered you when he won the million-dollar races and paid over $4. In fact, we can be bold enough to predict that Captain’s Cane mile will present enough room between he and the place horse to hold a Tyler Swift concert. Watch the odds, closely. On Friday, Aug. 30, Harrah’s Philadelphia hosts divisions of the Goshen Cup and Debutante stakes for two-year-olds. There are five of these Grand Circuit miles worth around $40,000 each on the program. Check the Philadelphia list on the H2W below for our suggested contenders. New York Sires Stakes soph-filly pacers for Yonkers’ program on Aug. 30 also appear as H2W members below. Review our choices and follow the wagering at the prescribed track. These are possible contenders we have judged from reviewing races. The horses’ names are listed beneath the name of the track after the date they will be racing. The race in which they are entered (R and race number) follows. If a + is in front of a horse’s name it means it is appearing on the list for the second (and last time) because it failed to win the first time it appeared. An “ae” signals the horse is entered but on the also-eligible list. Types of wagering on any of the H2W listed horses are based on your judgment. If you have any questions, email us at TwinSpires. In any case, it will be helpful for you to read this if you are going to write resume. It will be great idea to learn more about such tips.